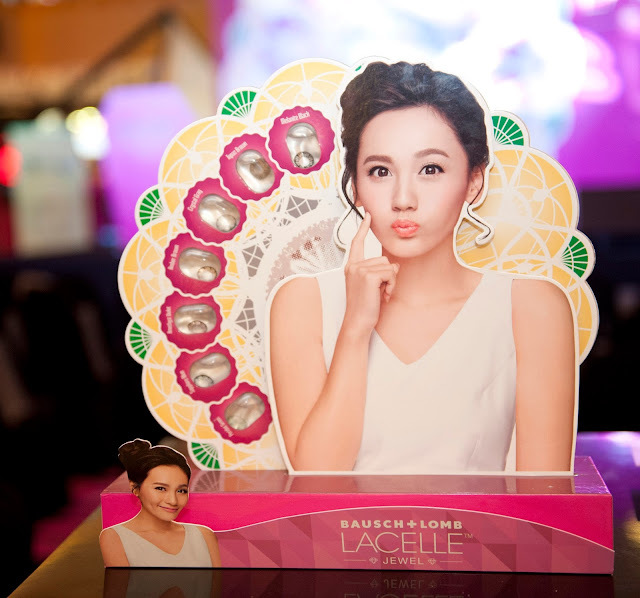 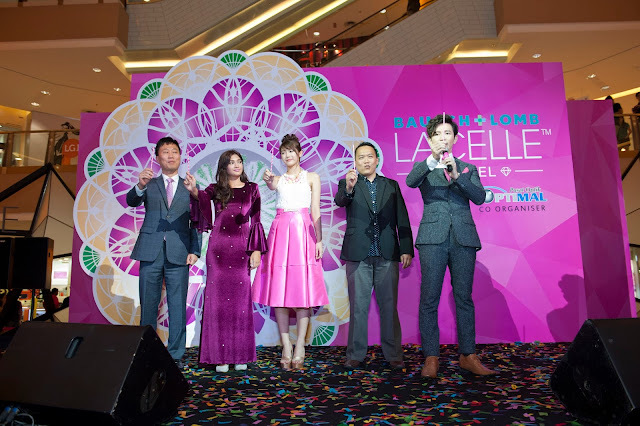 MALAYSIA, 11th September 2015 – Bausch + Lomb launched Lacelle™ Jewel, a monthly disposable coloured contact lens in Malaysia in a glamorous way. 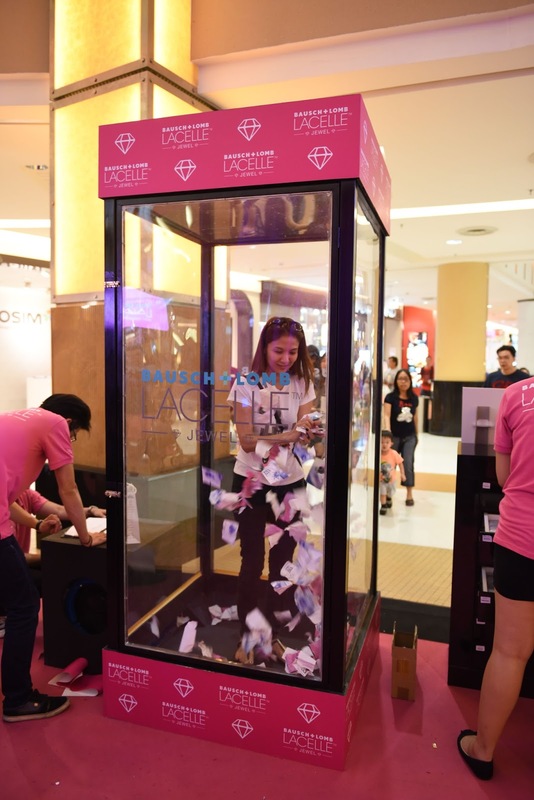 This monthly disposable series has made its first appearance in Asia. 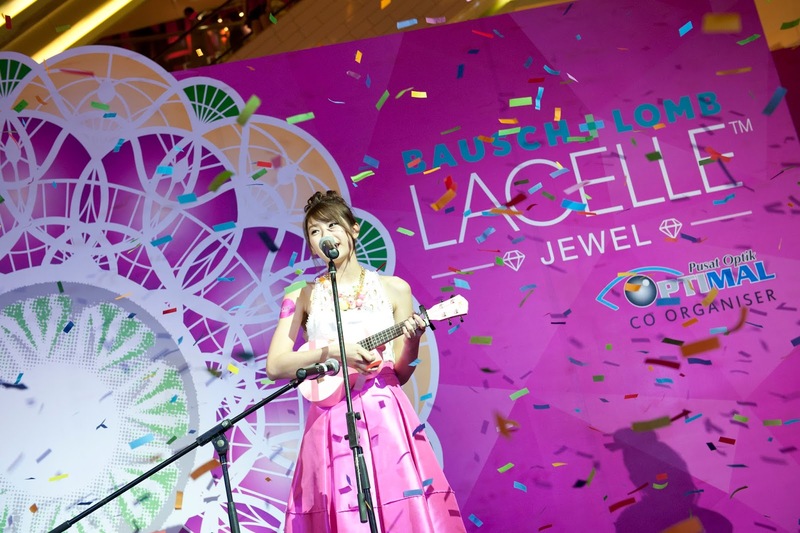 Lacelle™ Jewel created a euphoria among the massive crowds during the launch event in Sunway Pyramid, celebrity guest artists Atikah Suhaime serenaded the crowd with her charming personality and incredible vocal while the famous regional internet sensation You Tuber Joyce Chu dazzled the evening with her popular song Malaysian Charbor, tailor-made by Malaysian songwriter Namewee, to a screaming crowd of fans. In collaboration with Bausch + Lomb for a good charity cause, Joyce Chu performed the Bausch + Lomb eye exercise with the enormous crowd that had a splendid response. On the same evening, hip hop dance group Soul Krazy mesmerized the crowd. 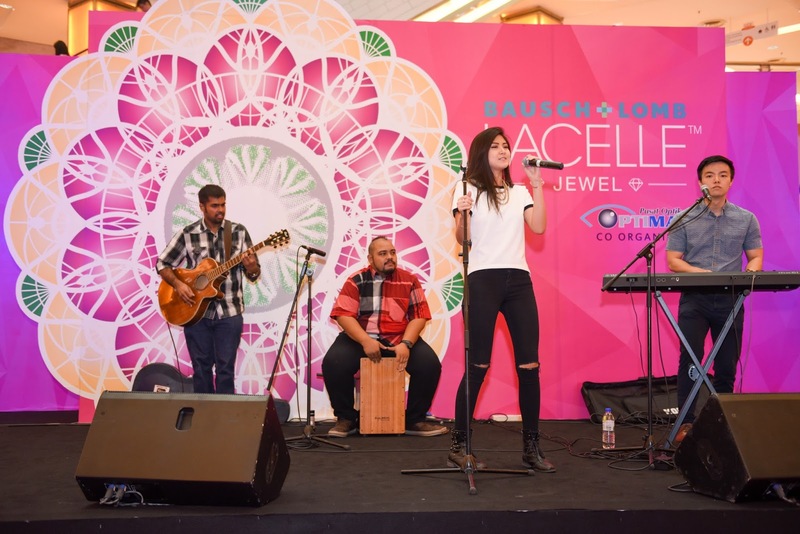 On Saturday, there will be a very special performance by Malaysian singer and songwriter, Diandra Arjunaidi, and also Malaysian girl group, De’Fam. 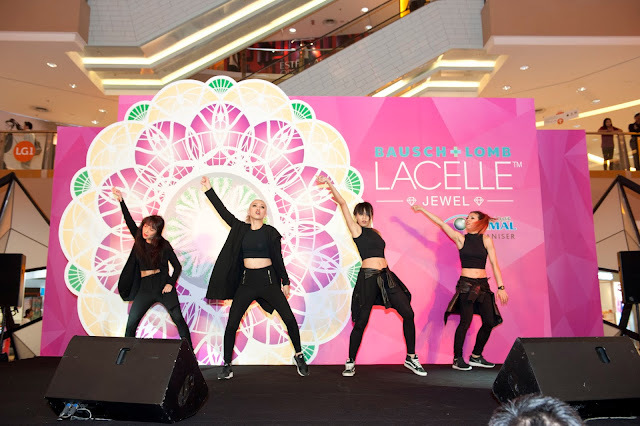 On Sunday, there will be a special dance and singing performance from our homegrown popular Malaysian You Tube artist, Elizabeth Tan and hip hop dance group Hyperactive. 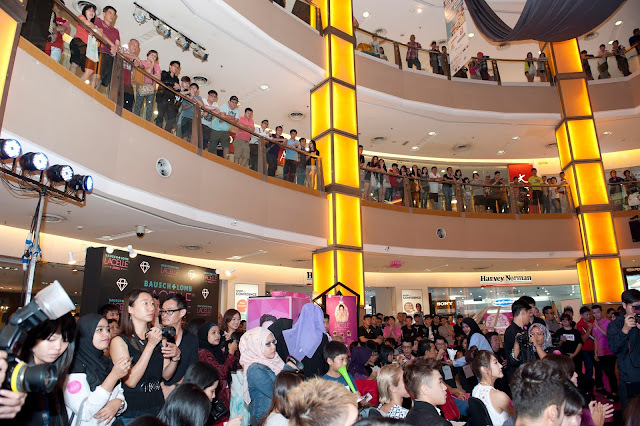 Elizabeth Tan (YouTuber) singing performance on Sunday Sept 13. 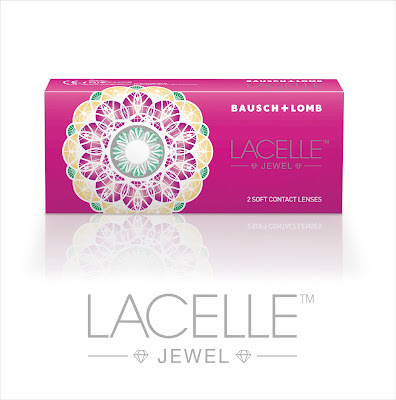 Customer who purchase Lacelle Jewel contact lenses gets to go into the Mystery Box to pick their prizes.